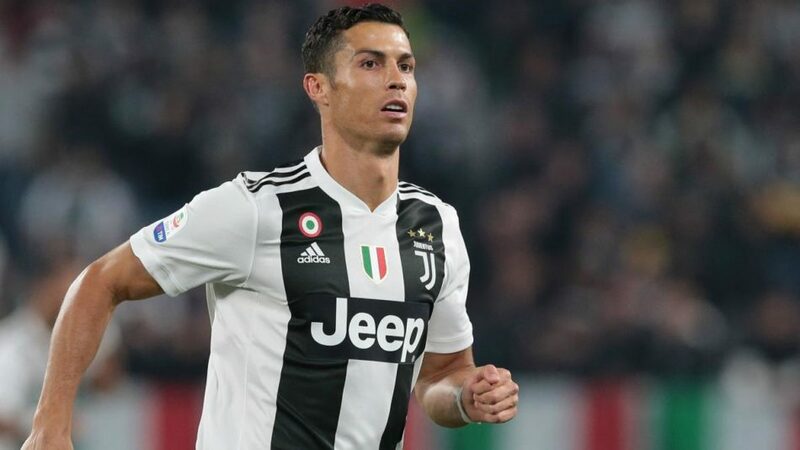 Ronaldo joined Juventus in last summer and now, according to reports, wants his former teammate to join him in Italy. Cristiano Ronaldo stunned when he joined Juventus after nine glorious at Real Madrid. While his former team struggled, Cristiano Ronaldo has been enjoying his time in Italy, and has already won a trophy with the Old Lady. According to reports in Spanish Newspaper Marca, the 5-time Ballon d’Or winner wants his former teammate James Rodriguez to join him at Juventus. Rodriguez, who impressed one and all at 2014 World Cup held in Brazil, subsequently made a move to Real Madrid but was loaned out to German club Bayern Munich in 2017, with an option to buy permanently. Rodriguez has only started in 8 matches and a lot has been talked about the Colombian returning to Real Madrid. If Juventus listen to Cristiano, they will likely land a bid for the Colombian. Cristiano Ronaldo wants Juventus to sign James Rodríguez and João Félix in the summer. Another player, who Cristiano wants at Juventus is Felix Joao who plays for Benfica. The attacking midfielder has already expressed his desire to play with his country’s biggest superstar; Cristiano Ronaldo. It has also been reported that Manchester United, Paris Sent Germain and Real Madrid are tracking the player. Will Cristiano Ronaldo, Portugal’s biggest icon, convince his compatriot Felix Joao to snub Real Madrid and Manchester United and join him at Juventus? Will James Rodriguez join Juventus and revitalise his career? Cristiano Ronaldo is arguably the greatest footballer of this generation, along with Lionel Messi. He has done much at Manchester United and Real Madrid and is establishing his name in Italy. If he really wants to Juventus to sign these players, it is likely that the team will listen, at the very least. And what not, the players he wants are players who could strengthen the Old Lady. Felix Joao is versatile and can ply his trade on many attacking roles. He could be the next big thing from Portuguese football and Cristiano might have already noted that. Coincidentally, he was there to watch the match between Benfica and Sporting Lisbon as Felix Joao played for the eventual winners. Is kante new role the primary cause of his not expectional relationship with the Italian boss?